Morning Comes Early by Kathleen Coyle. New York. E. P. Dutton. 1934. First Edition. Hardcover. Very Good with no dust jacket. Edgewear. Previous owner's name. Yellowing on endpapers. 151 pages. 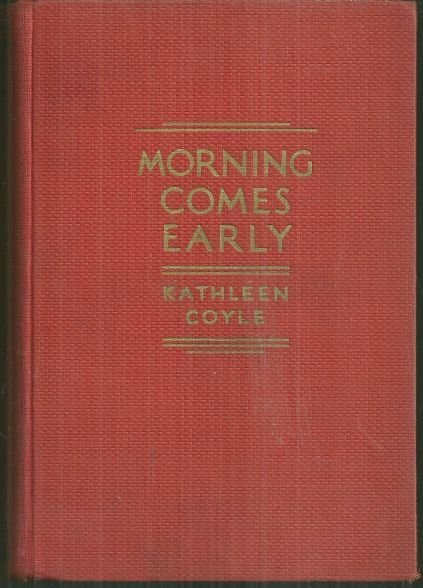 Items Similar To "Morning Comes Early by Kathleen Coyle 1934 1st edition Novel"